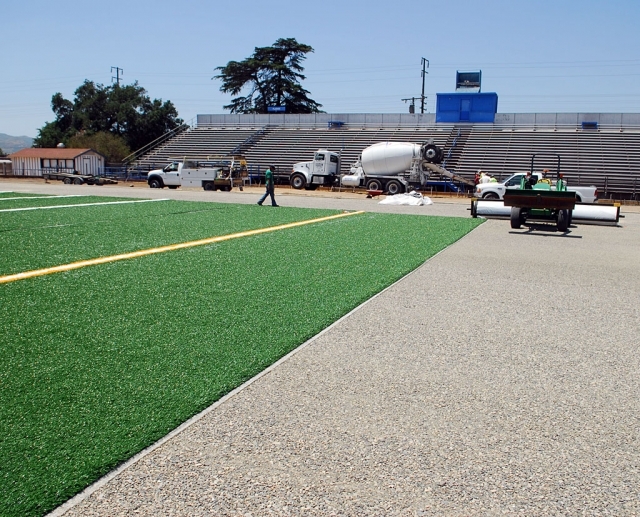 The final phase of FHS improvements are underway with artificial turf being installed. Installation of the all-weather track will be complete by August 2008. As you know, this year’s Commencement ceremony will be held on Thursday, June 12 at 7:00 p.m. 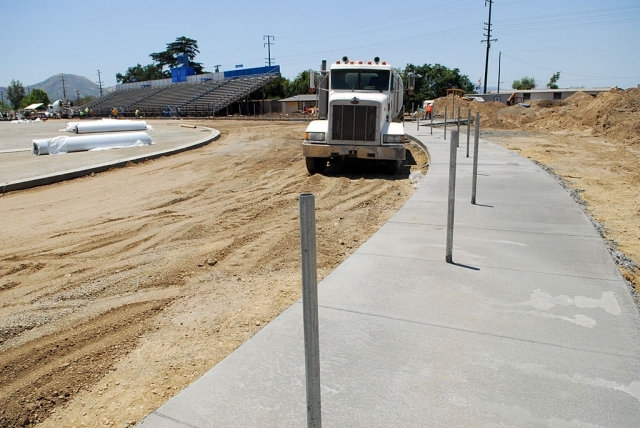 I am sure you are also aware of the extensive construction that is in progress at the FHS stadium. 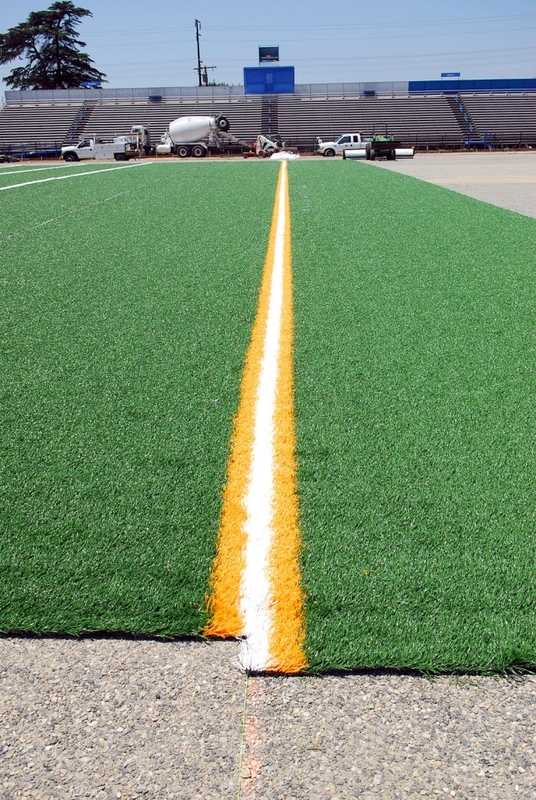 This new artificial playing surface and nine-lane competition track will completely change the look of our campus and offer top-grade facilities for our students and community for generations to come. Parents and families: Parking will be limited to Central Ave., the HS parking lot at Shiells and 2nd St., and at the Middle School. 2nd Street will be completely blocked to vehicles and will be used only by the buses carrying the graduates. Access to the stadium will be through the Ticket Booth entrance for families beginning at 4:30 p.m. Wheelchair ramp is available by the Snack Bar. There is no access to the track or field for seating. Balloons will be checked in/out behind the Ticket Booth so visibility will not be blocked in the stands. Overflow crowds will stand behind the fence which separates the stands from the football field. There is only 4-5 feet clearance in the area and cannot be blocked in case of emergency. Graduates, faculty and staff and archbearers: Graduates will meet at the FHS gym at 6:00 to line up to board buses for the traditional last ride. Buses will leave the Horseshoe area, then proceed up 2nd St. and line up to unload graduates on 2nd St. Graduates enter the stadium in pairs at the northeast gate on 2nd St. and proceed to the 50-yard line. FUSD School Board members, administrators, FHS faculty and staff follow archbearers up from the campus in pairs, enter the stadium at the southeast gate, and await the graduates’ arrival at the 50-yard line. As graduates approach from 2nd St., archbearers begin the processional around the track by splitting up at the 50-yd.line and rounding the track followed by school officials, faculty/staff, then the graduates. Archbearers stop on their marks to hold the arches for the processional then retire to sit by the Band. A recessional is necessary since there is no access to the field by the spectators. Faculty/staff lead the recessional out of the stadium followed by the graduates and exit through the southeast gate back to the gym where graduates will pick up their diplomas. Archbearers follow graduates out of the stadium then set up the arches in the circular plaza for photo opportunities for families and graduates. Crowd is invited to meet graduates at FHS circular plaza. Parents walk up 2nd St. to meet their graduates at the circular plaza for pictures and celebration. Graduates return to the Horseshoe by 9:30 p.m. for Grad Night Live. 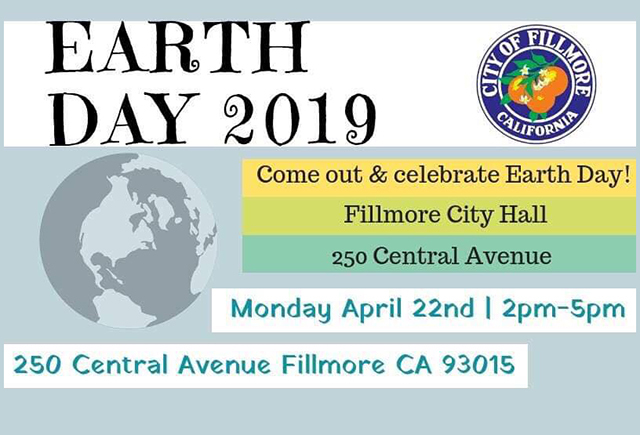 Fillmore HS on this exciting occasion! Rebecca Larkin, Principal; Dr. Mike Bush, Asst. 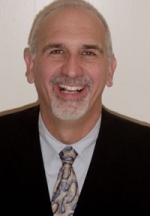 Superintendent for Business Services. The Horatio Alger Association of Distinguished Americans is pleased to announce that it has awarded 100 scholarships to deserving high school students in California. Each Scholar will receive $2,500 to fund their college education. The state honorees were selected for the Horatio Alger State Scholarship Program because they made academics a priority while facing and overcoming great obstacles in their young lives. 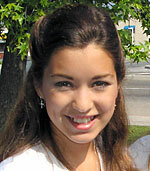 Christine Flores of Fillmore High School was a recipient. The State Scholarship Programs, ranging from $2,500 to $10,500, are sponsored by Horatio Alger Members and friends of the Association. 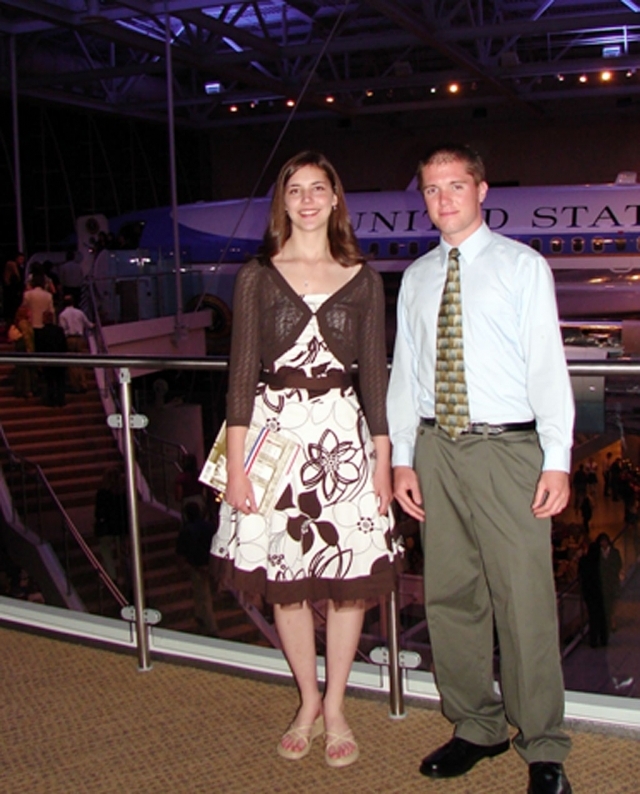 In 2008, the program awarded more than 900 scholarships to students throughout the country. The California scholarships are made possible by Horatio Alger Member Arthur A. Ciocca. “With the help of Arthur Ciocca, more young people will have a real chance at success beginning with a higher education,” Washington added. Financial aid guidance to assist in selection of and preparation for college. Access to the Association’s Web site where students can create online profiles, search for fellow scholars, update their personal information, submit disbursement requests, and direct questions to the Association. Access to a toll-free information line to speak to program coordinators for assistance with questions about their scholarships and other educational programs. Rachel A. Adams, Westley Scott Fairall, Vivana Magana, Ana-Christina Morino, Andrea Esperanza Ocegueda, Nicole Jacqueline Rodriguez, Juan Valdovinos, Vanessa Myriah Villa, Larissa Janea Villanueva, John Daniel Wilber, Jaynessa Lopez. Brianna Raquel Aguilar, Vanessa Tarina Aguilar, Stephanie Alexandria Aguilera, Brian Alcantar, Oscar Omar Alferez, Linda Alvarado, Brooke Alvary, Bryan Anthony Arteaga, Blanca Estela Ayala, Eddie Baez, Tanya Barrera, Robert Adam Bonilla, Daniel Cruz, Kendal Davis, Tania Dominguez, John Paul Galvez, Jonathan Gonzalez, Christina Alisia Gutierrez, Gonzalo Gutierrez, Neira Acosta Hernandez, Nenetzin Raquel Herrera, Itzelle Iniguez, Rogelio Jr. Lemus, Vanessa Lopez, Rodolfo Lopez, Anissa Justine Magdelano, Jasmine Lomeli Medina, Gabriela Ann Melendez, Anthony Ron Mendez, Jenna Alexis NMendez, Jordan Mendoza, Luis Montejano, Ashley Nicole Morino, Roberto D Munoz, Viviana Orozco, Alexis Paniagua, Cindy Peralta, Victor Daniel Ponce, Vanessa Rivas, Victor Rene Robles, Martin Rodriguez, Vicente Rodriguez, Adolfo Rodriguez, Theresa Nicole Soltero, Maria Cristina Suarez, Aunee Rochelle Tarango, Jenna Margaret Wilber, Nathan Patrick Zavala. 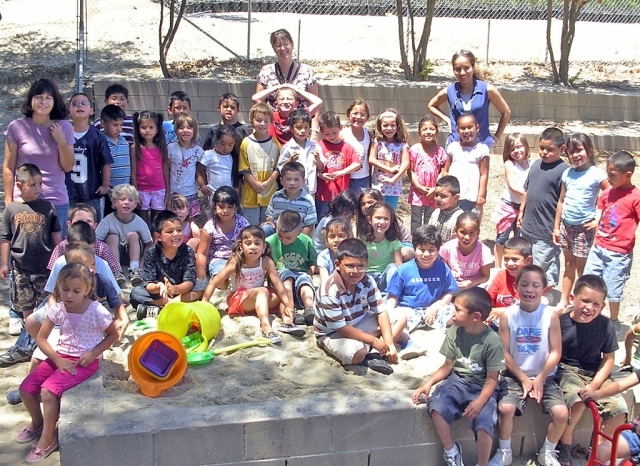 Lorena Aguilar, Sandra Alcocer, Alejandra Amezcua, Emilia Barajas, Isabel Basquez, Austin Bennett, Matthew Brown, Vivian Calderon, Maria Esparza, Michael Estrada, Anthony Garcia, Noemi Garcia, Miguel Garcia, Carla Garcia Rodriguez, Alvaro Garnica, Ruben Gomez, Alexander Gonzalez, Stephanie Hernandez, Jose Iniguez, Monica Iniguez, Maria Magana, Juan Mariscal, Alex Martinez, Robert Martinez, Vicente Martinez, Francisco Medina, Marcus Medina, Maria Munoz, Taryn Munro, Juana Negrete, Melody Nunez, Samuel Orozco, Jesus Ramos, Mayra Rangel, Brittany Riely, Carlos Rincon, Jazmine Rodriguez, Jasmin Rubio, Alan Ruiz, Adriana Salgado, Martin Soria, Jose Topete, Nikilette VanDeMheen, Marc Zavala. This is the time and place to address the Board. State law prohibits the Board from acting on issues not included on the agenda; however, requests may be made for discussion of specific topics at subsequent meetings. The Board of Education will meet from 5:00 to 6:00 p.m. to consider matters appropriate for Closed Session in accordance with Government Code Sections 3549.1, 54956.7 through 54957.7 and Education Code Section 35146. If the Board does not complete Closed Session discussions at this time, the Board may adjourn to Closed Session at the end of the regular meeting. o Update; Direction to District Negotiators (Jeff Sweeney, Evalene Townend, Mike Bush) for negotiations with the Fillmore Unified Teachers Association (FUTA), the California School Employees Association (CSEA), Confidential Employees, and District Administration. Items on the Consent Agenda are considered routine and will be enacted by a single motion. None of the items will be discussed unless a Board Member or member of the audience requests discussion. Piru Elementary was represented by Jennifer Morales, Daniela Garcia, Cristal Villa, Itzel Ayala, Saira Garcia, Jazmin Olvera, Mariela Gutierrez, Alexis Ramos, Gerardo Lindsey, Mrs. Silva, Claudia Moreno, Andres Luna, Luis Cruz, Lucero Morales and Ms. Cornejo. Over 750 students from across California and other states including Texas and Arizona gathered two weeks ago to compete in the Migrant Invitational Speech and Debate Tournament at Ventura College. There were 66 teams entered in the competition. The event is designed to challenge and motivate students and help them see the value of education. 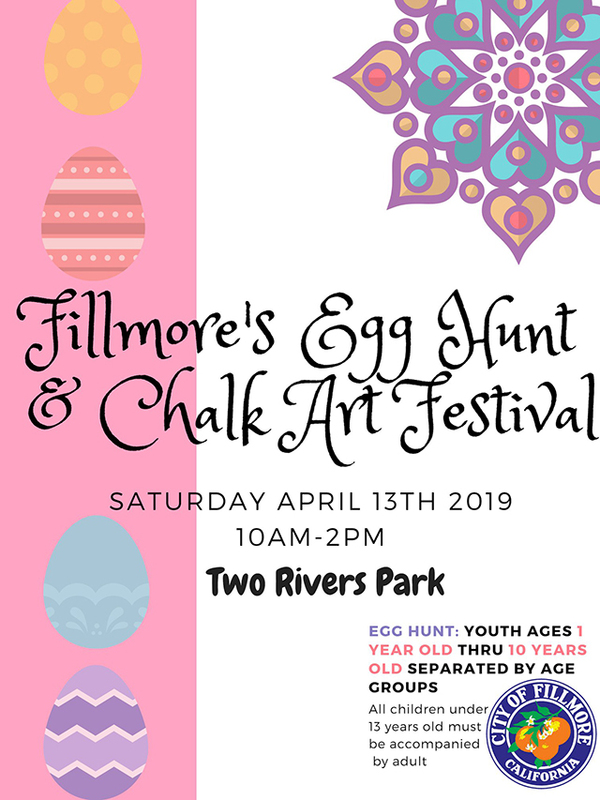 Fillmore Unified School District had a total of 51 students participating from San Cayetano, Sespe, Mountain Vista, Piru and Fillmore Middle School. The Piru speech team was coached by Piru Elementary 5th grade teachers Claudia Cornejo and Delia Silva. More than 1,000 excited children and adults gathered together during the tournament’s award ceremony in the college’s Athletic Event Center to see how each team did during the day’s competition. By the end of the ceremony Piru and Sespe Elementary students had a lot to smile about. Piru took home 4 Migrant Speech awards! Luis Cruz scored 2nd place in 5th grade prepared speech, Andres Luna scored 3rd place in 5th grade prepared speech, Daniela Garcia scored 1st place in 5th grade extemporaneous speech, and Claudia Moreno scored 3rd place 5th grade extemporaneous speech. MV student winner Fermin Gallegos (4th grade) placed 2nd in the extemporaneous speech. Sespe School took home two top awards. Steven Rodriquez scored 1st place in the 5th grade prepared speech and 2nd place in the 5th grade extemporaneous speech. Thanks a ton—and a half! Piru Kindergarten students around their sandbox with teachers (left to right) Mrs. Schaper, Mrs. DeMoss, and Mrs. Dollar. 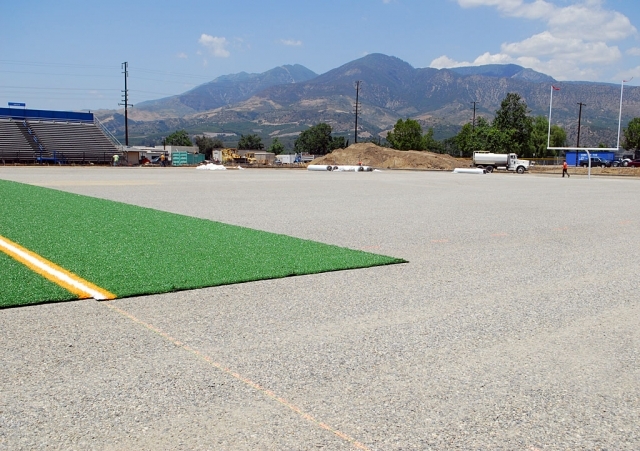 Piru kindergartners once again will enjoy a forgotten area of their play yard. Thanks to the donation from a local citizen, a gravel company, and with the labor of Piru kindergarten teachers, Piru kindergarten students will now be able to create, explore and imagine in their newly constructed sandbox. Moorpark resident Edward Martel contributed funds to begin the process of revitalizing the Piru’s kindergarten play area while Brandon Theising of P. W. Gillibrand and Company delivered a ton and a half of donated sand to fill the sand box. After school for several days teachers constructed the box, and with some assistance from students dug out the pit. Finally, to the delight of the kindergarten students, the bags of fine sand were poured in to fill the box. This is the first step in a developing plan by the Fillmore School District for the restoration of the play yard. Incoming Piru kindergarten students can look forward to exploring in a rejuvenated playground. Information can be found on the Alumni Website at www.fillmorehighalimni.com, or you can call the Alumni Office at 805-524-0416. Donna Arreguin, Alexis Barajas, Jose Alfredo Contreras, Collin Jerry Farrar, Cassandra Nicole Galvez, Briana Garcia, Victor Garcia, Laura Michelle Garnica, Louis Isaac Gomez, Javier Guerrero, Anthony Leal Burgoin, Daniel Anthony Mendez, Shelbi LeeAnn Miller, Brandy Alicia Nisbet, Mary-Louise Estrada Ortiz, Sarah Elizabeth Pace, Cybill Rebecca Pace, Gerald Wayne Riley, Kennedy Smith, Jessica Suarez, Hugo Valdovinos, Rogelio Vargas, Amanda Nicole Vassaur, Maria Guadalupe Villalobos, Selena Guerrero. 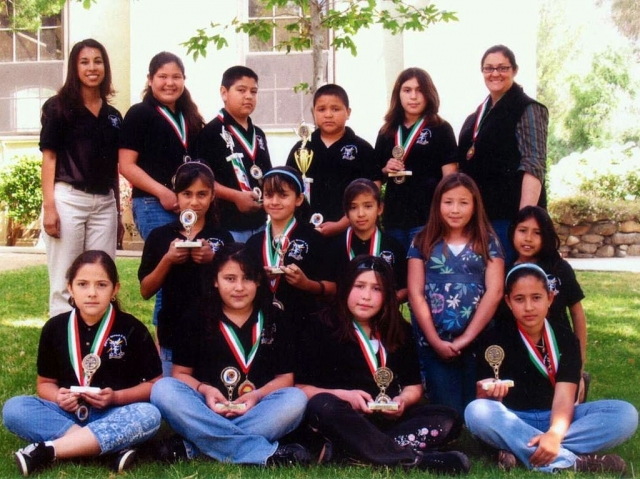 Brooke Anne Aguirre, Mariana Alamillo, Jose Antonio Almaguer, Brenda Alvarez, Donna Tiara Avila, Savannah Leigh Bullard, Alexis Enrique Bustillos, Ruben Camarena, Marlene Carvajal, Carina Amalia Casas, Yulianna Ceja, Vincent Thomas Chavez, Yanelle Diaz, Aylia Lanette Estrella, Tyler Colt Forsberg, Alexander Joel Frias, Billy Gabriel, Angel Godinez, Jessica Gonzalez, Kathryn Fay Hawkins, Alissabeth Hernandez, Karina Amelia Hernandez, Mario Hernandez, Kaylee Ann Hinklin, Nerina Yacseny Inda, Daniella Nicole Jaimes, Desiree Bernice Lagunas, Lester John-Leroy Legan, Jonathan David Lugo, Yazmine Luna, Sammy Louis Martinez, Cynthia Martinez, Andrea Martinez, Rocio Ramirez Medina, Bryan Anthony Munoz, Mayra Murillo, Dalila Denise Ortiz, Christian Isaac Pech, Jose Luis Perez, Desirae Alyssa Perez, Hecto Jr. Quintero, Alexis Elizabeth Ramirez, Jalen LeKeith Rhodes, Natalie Contreras Rodriguez, Brandon Fredrick Rodriguez, Isaiah Caleb Romero, Sandra Jane Ruiz, Courtney Kristen Salazar, Miguel Angel Salgado, Maria Guadalupe Salgado, Nicholas Andrew Sanchez, Destiny Toyooka, Maribel Fernandez Vargas, Angelica Zavala. Deana Marie Aguilar, Jorge Antonio Anchondo, Andres Avila, Erika Ramona Barroza, Katie Ann Boyton-Rogers, Tyler Jay Brown, Megan Justine Brunett, Karinna Marie Carrillo, Jordan Tyler Carrillo, Margaret Hope Carrillo, Krystal Angelica Casillas, Micah David Chumley, James Dillon Data, Majed Diab, Gabriela Diaz, Michaela Alexis Ebell, Ruben Junior Estrada, Jasmine Estrella, Karla Flores, Dakota Daniel Galarza, Victor Gallegos, Jaime Gallegos, Victor Garibay, Tatiana Ariel Gonzales, Tyler Joseph Gray, Nadia Jimenez, Veronica Maria Laureano Rosales, Ariel Legan, Kenneth Lee Leighton, Cristina Lizardi, Dianna Lopez, Salvador Lopez, Hugo Alberto Magana, Arturo Marin, Jennifer Martin, Joanna Martinez, Isaias Roberto Martinez, Jeremy Allen- Marceli Martinez, Ruben Martinez, Adrian Mejia, Yony Murillo, Anthony Thomas Arthur Murray, Janessa Negrete, Jovani Oregon, Allison Erin Perez, Adrian Oscar Rangel, Alyssa Ashley Rodriguez, Bryan Jesus Rosas, Victoria Ruiz, Crystal Renee Sandoval, Jazmine Marie Sandoval, Mayra Berenice Silva, Michael Andres Topete, Christopher Edward Townend, Samantha Valdez, Amairani Verenice Valdivia, Josue Antonio Valenzuela, Leonardo Daniel Vazquez, Juan Francisco Vazquez, Daniel Velgra, Daisy Villa, Amber Renee Wilmot, Joseph Keyshawan Wilmot, Liliana Zamora. Gilberto Acevedo, Raquel Aguilar, Omar Melgoza Arevalo Robles, Wendy Itzel Bolanos, Anyssa Monique Cabral, Erick Cadena, Frank Joseph Chavez, Gustavo Alexis Felix Cortez, Marissa Mishaela Dorantes, Citlali Angelica Erazo, Leticia Guadalupe Flores, Nicolas Albert Frias, Mario Eduardo Gaspar, Isaac Gonzalez, Brendan Michael Gonzalez, Destiny M Gutierrez, Kiana Marie Hope, Nicholas Erick Johnson, Anthony Joseph Larin, Sarah Lopez, Kendra Magana, Omar Magana, Daniel Martinez, Edgar Osvaldo Mendez, Christian Giovanni Minero, Melissa Kate Nunes, Lizbeth Perez, Paulina Rosales, Nikole Ashley Spencer, Cheyanne Dee Tarango, Maria Topete, Adan Fernando Torres, Kelsey Maria Zelenka. Guadalupe Acosta, Stacey Alcantar, Alma Vasquez Anaya, Yesenia Guadalupe Arredondo, Jennifer Arroyo, Ismael Avila Jr. Jillian Baughman, Jovanny Bravo, Karina Contreras, Lizeth Flores Cornejo, Pedro Corona, Jessica Cortes, Julio Jesus Cortez, Karina Covarrubias, Levi Carrington Craig, Aubree Davis, Alejandra Zamora Diaz, Tyler Matthew Esquivel, Chelsy Claire Fitzgerald, Jonathan Michael Flores, Melanie Veronica Flores- Espitia, Ashley Michelle Gonzalez, Ruben Gonzalez-Patino, Alyssa Brianne Granados, Kayla Marie Grove, Ricardo Gutierrez, Ernesto Guzman Jr. Denise Hernandez, Andrea Hernandez, Eifrain Izarraras, Raquel Izarraras, Carolina Denise Laureano-Rosales, Cristian Macias, Jose Jesus Madrigal-Flores, Fabiola Magana, Rocio Leyva Maldonado, Roger Christian Martel, Denise Martinez, Isaiah Julian Martinez, Carson McLain, Caitlin Elizabeth McCall, Jesus Alberto Mendoza, Andres Montejano, Juan Manue Jesus Moreno, Joseph Grant Orozco, Gabriela Padilla, Val Joseph Pillado, Omar Abraham Ponce, Kiana Bree Ramirez, Luis Enrique Rodriguez, Juan Diego Rodriguez, Vanessa Selena Rodriguez, Jorge Salinas, Winchell Corwin Santa Rosa, Cristian Serna, Kayla Margrite Shepard, Gissel Uriostegui, Jaime Valdovinos, Daniela Valdovinos, Jordyn Amber Vassaur, Elena Marie Vega, Hilario Javier Velasquez, Kayla Vianey Zamora, Felicity Zavala. Francisco Agapito, Ivan Alamillo, Ricardo Aparicio, Balente Jimenez Ayala, Justin James Beach, Marissa Carrillo, Gustavo Cervantes, Anthony Nemenz Chaparro, Christian Contrerars Carrillo, Sarena Rene DeLa Cruz, Jorge Loera Esparza, Carolina Espericueta, Daniela Espericueta, Alan Espinoza, Mayra Alejandra Flores, Jazmin Guadalupe Gonzalez, Joseph Anthony Gonzalez, Juan Pablo Guillen, Jesus Eduardo Guzman, Anissa Renee Hernandez, Erika Huichapa-Gonzalez, Juan Luis Izarraraz, Eriyana Victoria Linder, Deanna Yaneli Lomeli, Raul Mata, David Medina, Adael Mejia, J. Donovan Spencer Mitchell, Paulina Negrete, Alexis Alan Ochoa, George Orozco, Ruben Orozco, Leighla Megan Poe, Jessie Isaiah Ponce, Kimberly Ramirez, Daniel Regalado, Andrey Sanchez, Jazlyn Ragene Sanchez, Carissa Shropshire, Manuel Suarez, Luis Alejandro Torres, Ariana Trigueros, Leticia Vega, Cesar Vicente Ventura, Kellyn Christine Waterman, Ana Patricia Yepez. VENTURA - The Ventura College Transfer and Career Center will host workshops designed to help newly enrolled and potential students with such issues as New Student Follow-Up, Financial Aid Certification, the VC Promise, CSU Applications, and Pre-Nursing Advisement . All workshops will be held in the Transfer and Career Center in the new Student Services Center on the Ventura College campus and are free and open to the public. Parking is $1 during the week. The closest parking on campus is by the Athletic Event Center in the West parking lot, accessible off Loma Vista Avenue, between West Campus Way and Central Campus Way. Financial Aid Certification Workshops will be held June 9: Noon to 2 pm, June 13: Noon to 1 pm, June 17: Noon to 2 pm, June 18: 9:30 am – 11:30 am, June 23: Noon to 2 pm and June 26: Noon to 2 pm. New Students Follow-Up Workshops will be held June 2: 1 pm to 3 pm, June 11: 1 pm to 3 pm, June 16: 1 pm to 3 pm, June 24: 1 pm to 3 pm, and June 30: Noon to 2 pm. Pre-Nursing Advisement Workshops will be held June 4: Noon to 2 pm, June 10: Noon to 2 pm, June 20: 11 am to 1 pm, and June 24: Noon to 2 pm. VC Promise Workshops will be held June 6: Noon to 2 pm, June 12: 1 pm to 3 pm, June 19: 1 pm to 3 pm, and June 27: Noon to 2 pm. The Ventura College Promise is the largest grant program of its kind in the nation. All Ventura County high school grads and new GED recipients will receive three consecutive semesters of their enrollment fees paid by the Ventura College Foundation if they enroll at Ventura College within twelve months of receiving their diploma, without regard to their family income or grade point average. For more information on the Ventura College Promise, please call 805-6461. CSU Application Workshops will be held June 3: 2 pm to 4 pm, June 5: 1 pm to 3 pm, June 11: 1 pm to 3 pm, June 19: 4 pm – 6 pm, June 24: 1 pm – 3 pm, and June 26: 1 pm to 3 pm. For additional information, call the Ventura College Transfer and Career Center, (805) 654-6473. For maps and directions, please visit VenturaCollege.edu, click on College Information and then select Maps and Parking. Elyse Hackney and D.J. Wareham. Local residents David Jacob (D.J.) Wareham and Elyse Hackney were recently honored at the Ronald Reagan Library in Simi Valley as Ronald Reagan Presidential Library Scholars. This honor was bestowed on high school seniors from all over Ventura County for recognition of exceptional leadership and character. D.J. and Elyse were in the same preschool class (with teacher Elizabeth Kemp) in Sonshine Preschool and attended grade school together at Fillmore Christian Academy (with teachers Pattie Kinkade, Martha Richardson and Janet Rutland). They have each excelled in their high school years and credit much of their success to a solid foundation in their early school years. D.J. is the son of David and Diane Wareham of Fillmore and he will be graduating from St. Bonaventure High School next month. He has been accepted and plans to attend Northern Arizona University in the fall to study Pre-med. Elyse is the daughter of Chuck and Tracy Hackney of Fillmore and will be graduating from Ventura County Christian High School next month. She has been accepted and plans to attend The Masters College in the fall to study history. 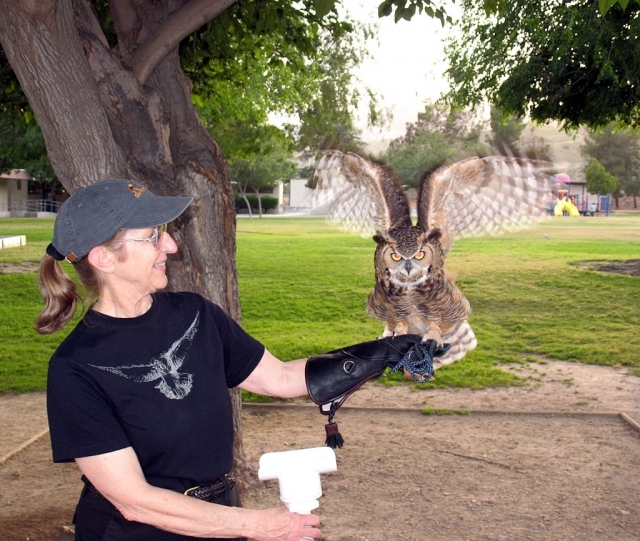 A volunteer from the Ojai Raptor Center holds a barred owl. Pictured (l-r) are Jatziri Rangel, with Sonia Rangel, and Natalie Naves display their science project at Piru School’s Science Fair last week. 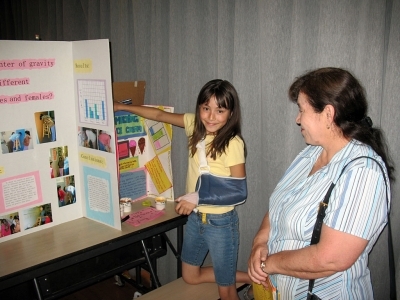 Piru student Maria Ibarra is shown with her science project at Piru Elementary’s Science Fair last week. Piru Elementary School just held their Open House/Science Fair. Many parents and students attended the event enjoying the opportunity to visit with their child’s teacher and see student work. The classrooms and more than 50 science experiments in the cafeteria looked great! Many thanks go to Lynda Catalano, our science and art teacher, for organizing the science fair and awarding our young scientists with more than 70 ribbons. Also that night the Ojai Raptor Center dropped by with a few of their feathered friends. The students and parents couldn’t take their eyes off the beautiful birds. The Ojai Raptor Center is dedicated to the rehabilitation and release of orphaned and injured birds of prey, and to providing educational programs to teach about raptors and our shared environment. One of our favorites was a beautiful barred owl. The Ventura College 78th Annual Commencement Ceremony was held at the Athletic Event Center on the Ventura College Campus on Wednesday, May 14. Ventura College’s graduation was held on the same day as Oxnard College, and Moorpark College’s was held on May 15. More than 1,162 students have earned 1,369 degrees and certificates, and so are eligible to be recognized. There are fifty students who are Fillmore residents and four who are Piru graduates among those earning their degrees and certificates. The day’s events included the traditional graduation breakfast, the processional ceremony and a reception for the graduates and their families. Two sign-language interpreters were utilized during the graduation ceremony, and an interpreter was available upon request for the other events. Commencement began at 1:30 p.m. Dr. Robin Calote, Ventura College President, addressed the group. The Chair of the Ventura County Community College District Board of Trustees Dr. Larry Miller, Vice Chair Robert O. Huber, trustees Stephen P. Blum, Cheryl Heitmann and Arturo D. Hernández, the Chancellor of the Ventura Community College District, Dr. James M. Meznek, the Academic Senate President Kathryn Schoenrock, the Classified Senate President Barbara Cogert, and Ms. Juliana Hernández, the outgoing president of the Associated Students of Ventura College, made brief remarks as well. Four faculty and staff members announced the graduates. The Ventura College President’s Office hosted the post-ceremony reception for the graduates, their family, faculty and staff. Piru: Violeta Lemus, Maria E. Medina, Alex Melendez, Jose Mendez, Jr. The ASB Convention was held on Monday, and delegates from every first period class at the high school chose the nominees for the student government’s cabinet positions. The ASB Convention is designed get involved in the election process and ensure that the whole school is fairly represented. The nominees for the 2008-2009 ASB Cabinet offices are as follows: ASB President – Jill Wilber and Bailey Pina; Vice President – Katy Talon and Nathan Liu; Commissioner of Finance – Taylor Atkins and Juan Carlos Toledo; Secretary – Brenda Magana and Kyla Hernandez; Speaker of the House – Lorenzo Guietterez and Garrett Reilley; Commissioner of Publicity – Natalie Garnica and Gabriel Candelario; Commissioner of Activities – Karli Chessanie and Aimee Orozco; Commissioner of Renaissance – Nadia Lomeli and David Watson; Commissioner of Clubs – Megan Louth and Sal Ibarra; and Sergeant at Arms – Nathan Ibarra and Jose “Froggy” Estrada. The canidates will have campaigned all of this week and each will give a short speech on Thursday at lunch. Voting will take place on Friday, and the winners will be announced on Tuesday. Class elections will be next week, and people who wish to run for a Class office may pick up an application in the office. The Senior Class Mother/Son Banquet is this Thursday and yearbooks will be here soon – the year is coming to a close. For more information, contact the student store at 524-8491. 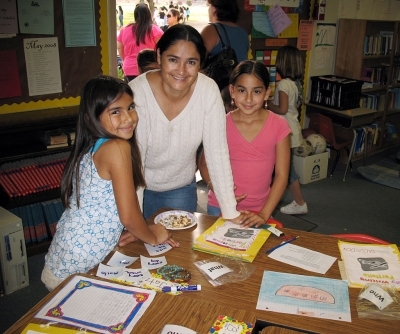 Ventura County's Beginning Teacher Support and Assessment (BTSA) Consortium will host its annual Induction Graduation Ceremony to honor the county's more than 300 beginning teachers who have participated in the BTSA/IC program. This event will be held on Tuesday, May 20, 2008, from 5:30 to 7:30 p.m., at the Ronald Reagan Presidential Library in Simi Valley. Invitees include legislators, school board members, community leaders, district and school site administrators, beginning teachers, and their support providers. Guest speakers include Dr. Pamela Davis, Director of the Family Medicine Residency Program at Northridge Hospital Medical Center and Assistant Clinical Professor at UCLA Medical Center. She will speak on “Celebrating Professional Excellence and Technical Competency”. Also, one of the program’s graduating teachers, Jackie Powell, will read her own creation, a humorous and thoughtful piece drawn from her experiences as a teacher last year entitled, “Interaction Overload”. The Celebration is being held under the auspices of the Ventura County Office of Education, Teacher Support Services, Dr. Paula Lovo, Executive Director. 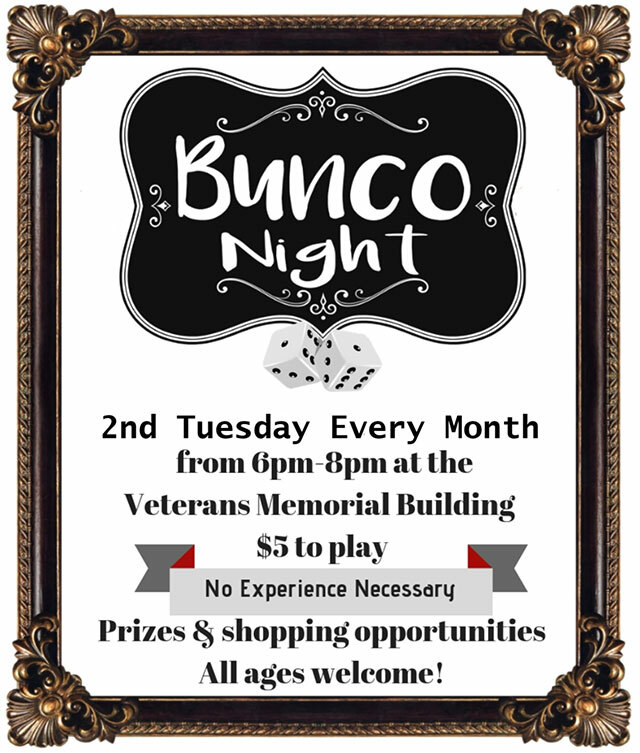 5:30 - 7:00, Wednesday, May 28th. In the San Cayetano School cafeteria. 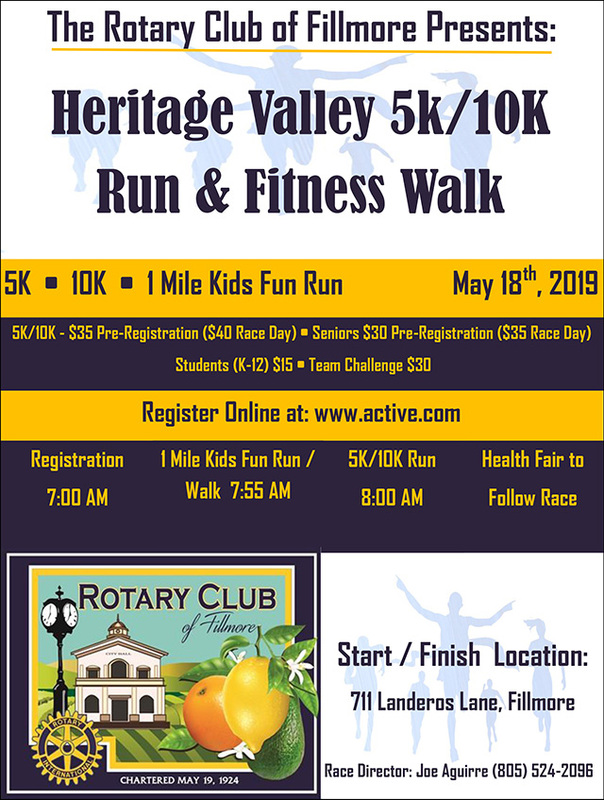 Sponsored by The Henry Mayo Newhall Foundation and United Parents for Education. Judge Donald D. Coleman, Supervising Juvenile Judge with the Ventura Count Superior Court, spoke to students at the Fillmore Community School on Wednesday, May 14, 2008. The judge encouraged the students to stay in school and achieve their dreams. This is the time of year when high schools are at their peak busiest in the school year with State testing, scheduling and Grad activities. At this point, staff at high schools ponder on what more they can possibly do to help guide teens towards successful adult lives. 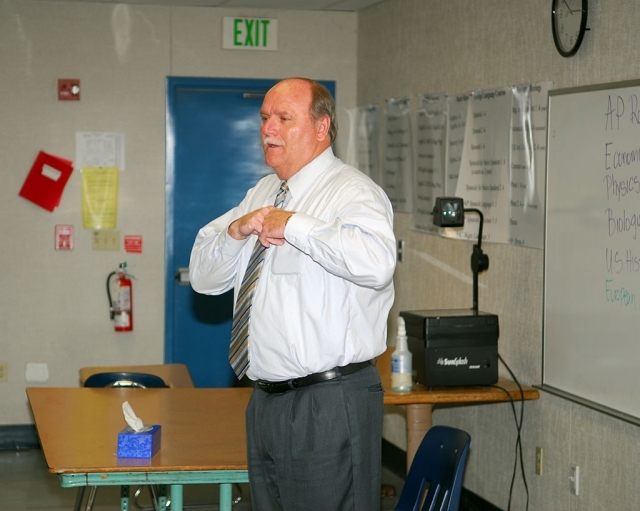 For a few hours, Judge Donald D. Coleman, Supervising Juvenile Judge,Ventura County Superior Court, spoke to students from Fillmore High School and Fillmore Community High School, respectively, about his role as a judge, how he planned his career goals, obstacles he met and overcame. He spoke to students about how they have responsible choices to make and how the decisions they make now can follow them throughout their life. Judge Coleman commented he enjoyed coming to Fillmore High School and connecting with the teens at the school on a prevention, rather than punitive level. At noon, students Luis Muñoz, FHS Senior, and Quetzaly Santiesteban, FHS Sophomore, youth applicants to the Ventura County Juvenile Justice/Delinquency Commission, and Norma Pérez-Sandford, FHS/FCHS Counselor and VCJJDPC Commissioner served as hosts to welcome Judge Coleman with a delicious potluck lunch that was provided and attended by volunteer parents, staff and students. Fillmore “Legends”, businesses or individuals, who continually and unselfishly support Fillmore Unified School District in the goal of academic success and delinquency prevention were also recognized: Mr. Conway Spitler, The Fillmore Gazette, El Pescador Restaurant, La Fondita Restaurant & Bakery, Yanni’s, La Flor Bonita, VONS Supermarket, Super A Supermarket, Melstone Cyber Café, McDonald’s, Little Caesar’s :Pizza, Dominoe’s Pizza, Carl’s Jr., La Michoacana Bakery, ¡Ay, Chihuahua!, Taco Bell, 7-Eleven, Francisco’s Produce and others. 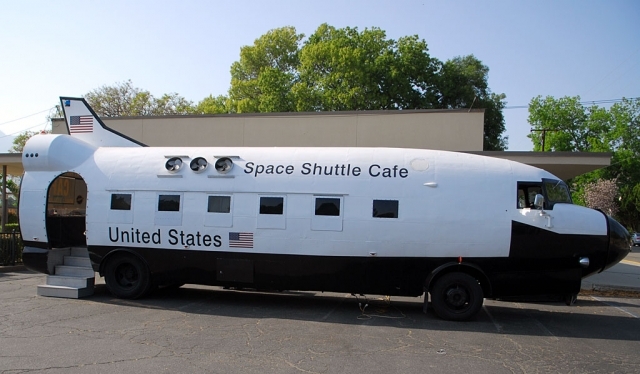 The Space Shuttle Café landed in Fillmore on Thursday during the Sespe School Science Fair. 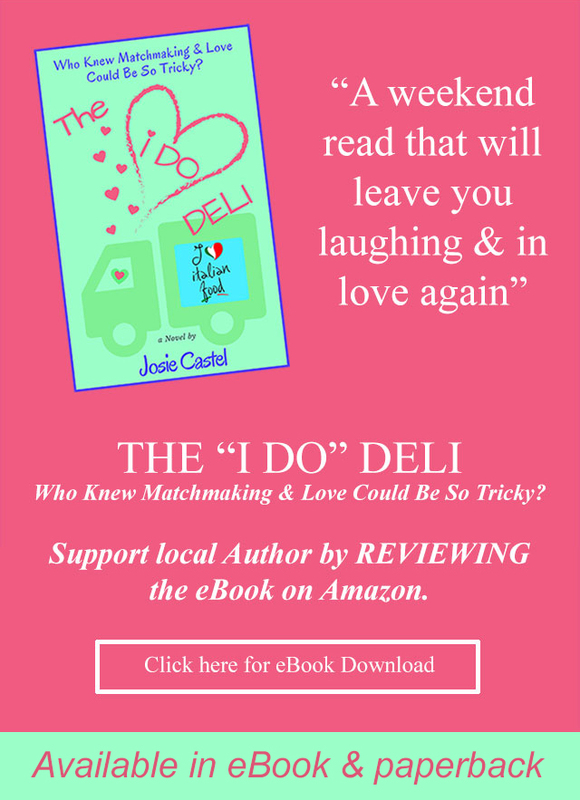 The Café is a reincarnated DC3 that was first launched in 2004. The aircraft originally rolled off the Douglas Co. production line in March 1944 and flew in World War II. After the war, All American Airlines (which later became Allegheny Airlines) bought the plane. A hijacking to Cuba is part of the plane’s lore. Argonaut Airways was the last commercial airline to own this DC3 before it was retired in mid-1970. In January, the Governor proposed a $4.8 billion funding cut to education that would have a devastating impact on our school district. In Fillmore, the estimated loss in funding for 2008-09 is nearly $900,000. In addition to this loss due to the Governor’s proposal, an additional $700,000 in on-going costs must be budgeted into the 2008-09 school year budget. The reduction in funds from the state in addition to the on-going costs means that the Fillmore Unified School District must reduce our overall 2007-08 school year budget by $1.6 million for the new school year, 2008-09. In response to this information, the District began immediately containing costs (reduction in office supplies, elimination of conferences, etc.) and developing a potential budget reduction list in January. Our Board has been meeting since February to review potential cuts in preparation for approving a final budget for the 2008-09 school year in June. Be assured that we will do all we can to preserve vital programs and minimize employee layoffs as we develop next year’s budget. On March 4, our Board of Trustees adopted a resolution in opposition to the Governor's proposed cuts, which would be the largest in the history of education in California. Every parent, student and staff member can have a voice in the fight to protect public education in California. I encourage all of you to take a moment and write to our elected officials in Sacramento to voice your concern about the budget crisis and the effect it will have on our children's futures. The names of our elected officials are: Senate-George Runner, 5097 State Capitol, Sacramento, CA 95814, phone 916-651-4017, fax 916-445-4662; Senate-Tom McClintock, 3070 State Capitol, Sacramento, CA 95814, phone 916-651-4019, fax 916-324-7544; Assembly Audra Strickland, 4208 State Capitol, Sacramento, CA 94249, phone 916-319-2037, fax 916-319-2137. I want our employees, parents and community to know that protecting students and staff from the harm the proposed Governor’s budget proposes is our top priority. However, such severe cuts to our funding will necessitate the loss of some services. 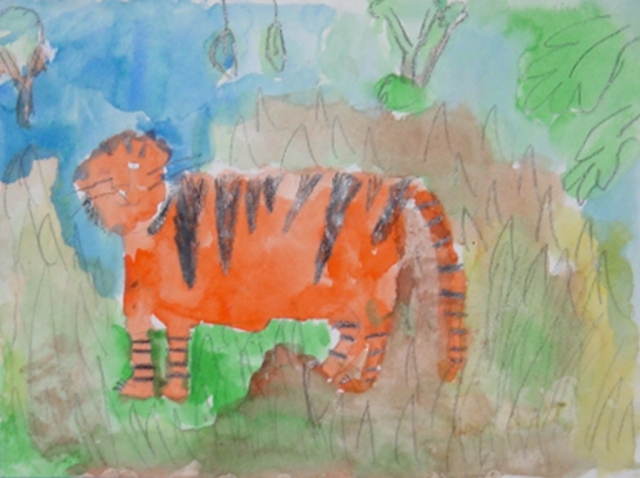 We have already had to cut some summer school offerings. In addition to this item, the Board has been studying a variety of potential budget reductions. Some areas the Board is considering include: Eliminating in-town bus service; Reducing positions and utilizing their funding sources to provide more service; and Reducing the budget needed to replace aging technology equipment. We want to keep moving in the positive direction that we have begun together these past two years. Board members, leaders, teachers, support staff, parents, and moreover the entire community have all worked especially hard to make Fillmore Unified a district that focuses on student achievement, providing a safe environment, and meeting the unique needs of all our students.